Are you ready for some sparkle? Brand new gemstones have landed on the website and we just had to share them with you! 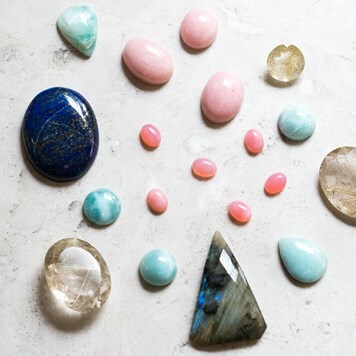 From brand new fluorite, pink opals to dreamy larimar - there are so many sparkly treats all looking to be turned into stunning pieces of jewellery. We are always adding new products to our Just Arrived section, you'll also find products that have new sizes added and those which are now back in stock too. These gemstones are limited edition, so once they're gone, they're gone! 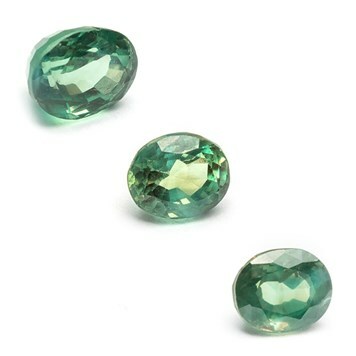 It's been too long since we stocked fluorite gemstones and we think it has been worth the wait! We are in love with these new additions, including a range of shapes in square, fan and oval! Fluorite is said to balance energies and encourage positivity. We have a feeling that these pink opals will be snapped up very fast! They have such a lovely rose colour and would look lovely in all kinds of designs - especially paired with turquoise! 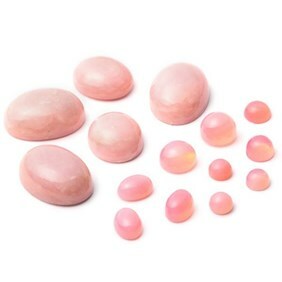 Pink opal is said to soothe the heart, bring joy and creativity. They are available in a range of round and oval sizes. Shop our whole opal range here. 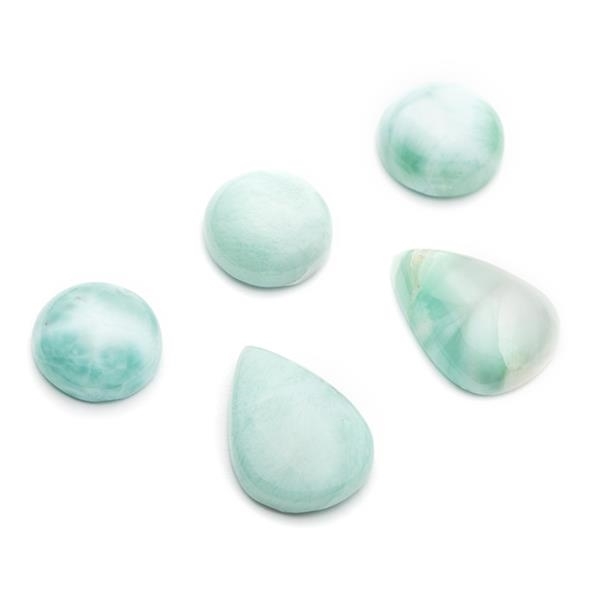 We know larimar is very popular among jewellers, so we just had to find some for you! We love its rare blue colour which would look lovely made into a ring or pendant. Larimar is said to calm emotions, reduce stress and also anxieties. We adore this amethyst and citrine combination! 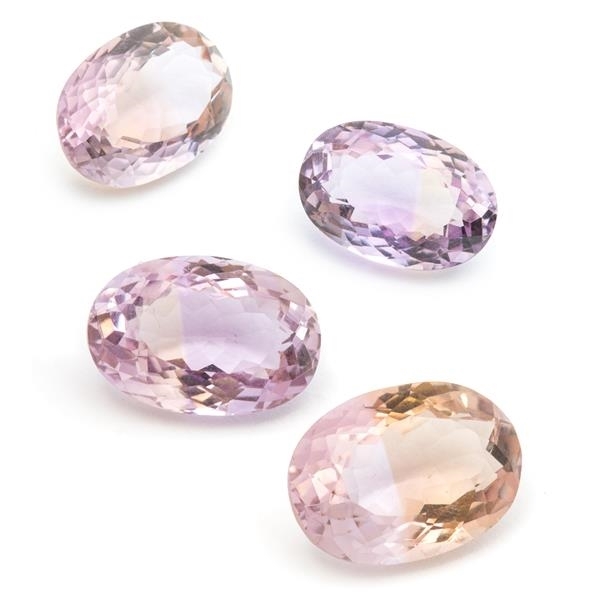 Each gemstone has a soft subtle shade which is enhanced by the stunning cut facets. Ametrine would work perfectly with gold and silver. 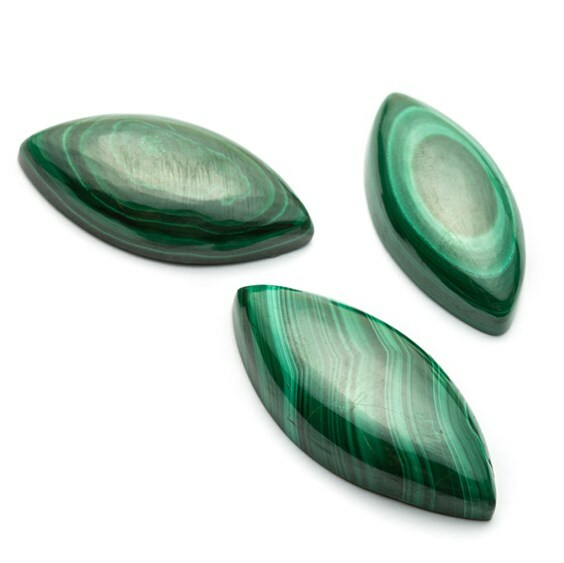 These high-quality gemstones are a beautiful jade, turquoise green. Due to its colour, it is often referred to as 'emerald by day, ruby by night'. This gemstone is said to bring luck, fortune and love! 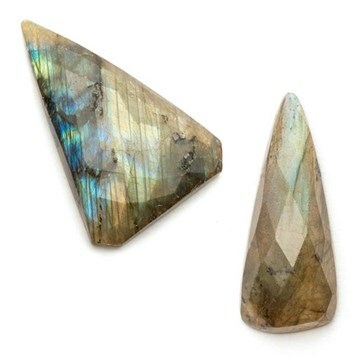 We already have a wide range of labradorite gemstones but we couldn't miss out on these! 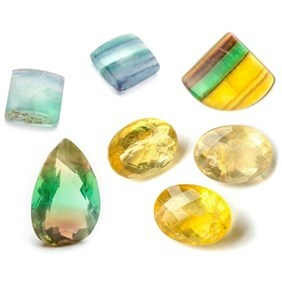 These are brand new faceted top cabochons, which is unlike any of the others we have on our website. With these, you can enjoy flashes of green, blue and gold! 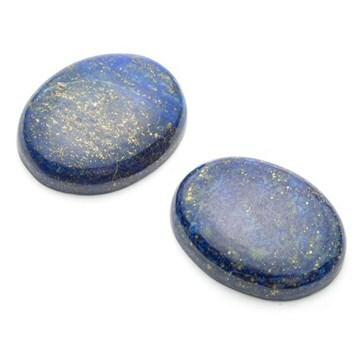 Lapis is one of our most popular gemstones and you can see why! These particular new additions have stunning sparkly gold pyrite specks. This is a gemstone of communication, truth and knowledge. Just look at those bands of rich forest green and emerald tones! This larger size makes these look incredible and we can't wait to see what jewellers make with these. This is a protective stone and absorbs negative energies. 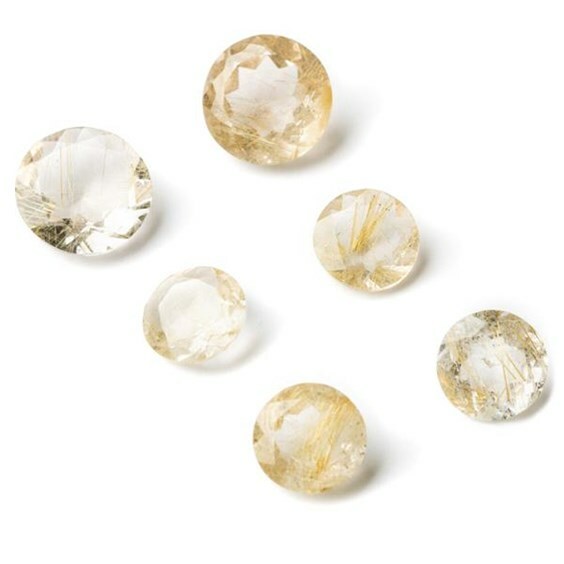 Just look at the gorgeous rutile needles running through these faceted gemstones! These would make incredible unique pieces of jewellery and they're perfect to use in summery designs.